UCSB Audio Archive; Emmett’s Voice – Tell my story. Here’s a great new resource shared by my dear husband: The University of California/Santa Barbara Cylinder Audio Archive. This is totally separate and unique from the Library of Congress’ National Jukebox! Another new repository of sound from Emmett’s day! What is interesting about this archive is that they are actively seeking the items missing in the holdings — buying them up from wherever they can find them — and making the sounds from the past available to us! Is it possible that perhaps, somewhere, Emmett Wilson’s voice exists on a wax cylinder or another format? Dictaphones were used at the turn of the century in offices — law offices — before Emmett was sworn in as a lawyer in 1904. They were considered as necessary as typewriters in many businesses. If your law firm was busy and profitable, you’d need one of these. Our gal Minnie Kehoe, Femtor Extraordinaire, who ran her own stenography school, perhaps saw this technology — initially — as a threat to her business, but Minnie was no fool. She probably used a dictaphone in her own work, and then, taught her stenography students how to use them, master them, so that they would not be displaced by the very technology that served them. You can purchase these wax cylinders on Ebay, at estate sales, and so forth. If Minnie was using them, then Emmett was using them, certainly; at least when he was a U.S. 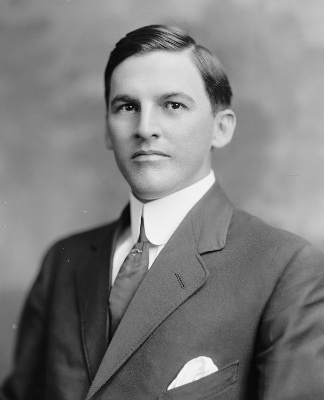 Congressman, between 1913-1917. Which means — Emmett’s voice might still be out there, recorded somewhere, on a wax cylinder.